0.20cts princess cut diamond half eternity ring, with princess cut diamonds held within a 2.55mm wide band. 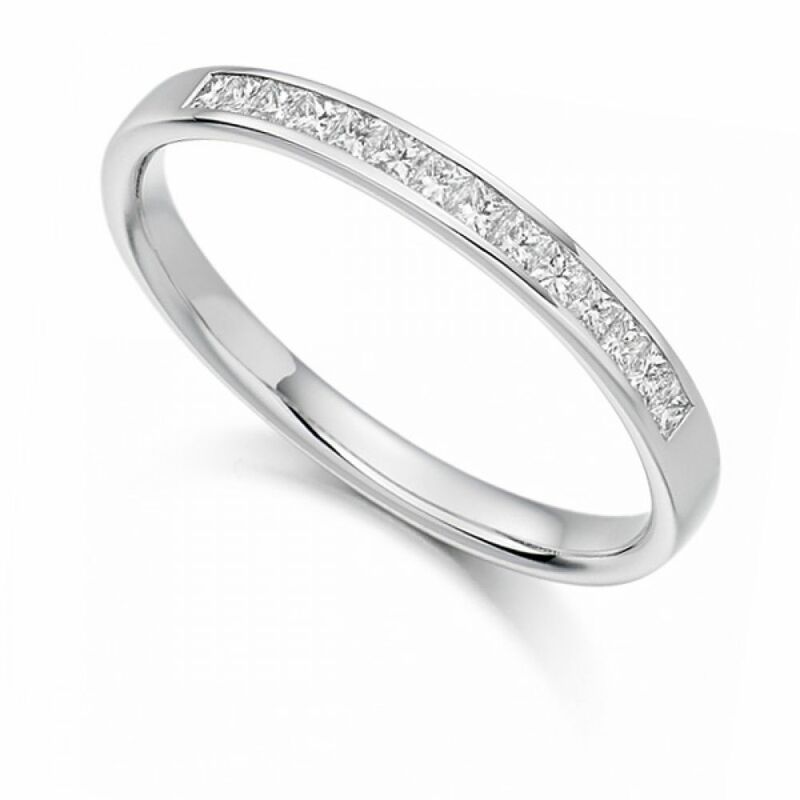 A timeless, precision set Princess cut Diamond half set Eternity Ring. This classic design is half channel set with a total of 0.20 carats of Princess cut Diamonds which have been graded F Colour, VS1 Clarity prior to being expertly set. The ring mount is 2.55mm in width and is both comfortable and elegant. The finished ring is available in a choice of 18ct Yellow, White or Rose Gold and 950 Platinum or 950 Palladium. 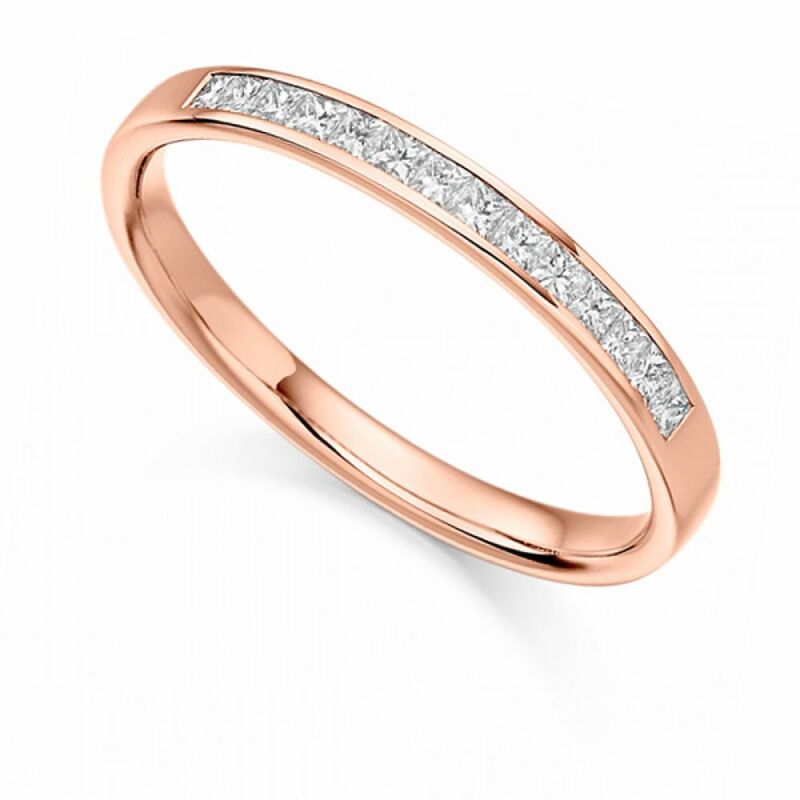 Once finished to a high standard this elegant ring will arrive to you beautifully packaged ready for the perfect moment. This ring is crafted to order so please allow 4 weeks for delivery. Service rating :I first bought an engagement ring from Serendipity and the quality of the work and diamond were fantastic compared to a ring more expensive in a High Street shop,The customer service is second to none, highly recommend them!! Anonymous This is great to hear that the two rings now compliment each other.